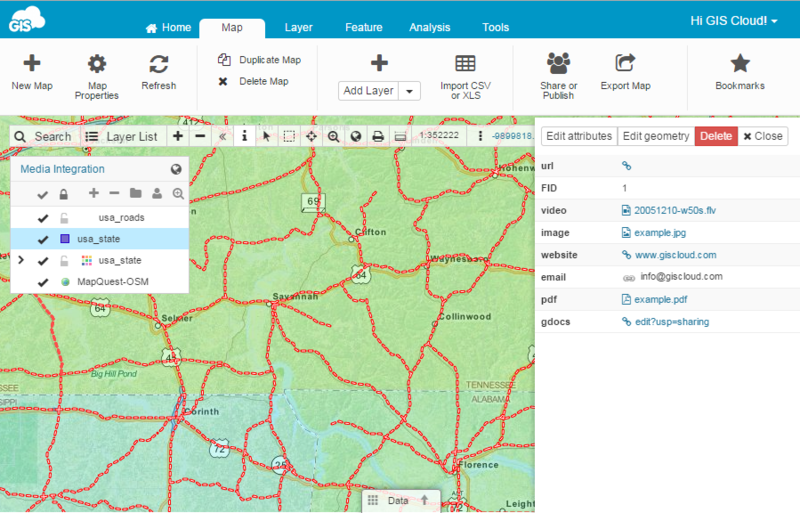 Map Editor allows you to import and view various photos, images and videos, listen to audio files, input various links to other websites such as google docs, attach and view PDF files and all that directly in the application. Note: all media files have to be uploaded to File Manager and layers you’re working with must reside in the database if you want to be able to edit them and attach media to features. 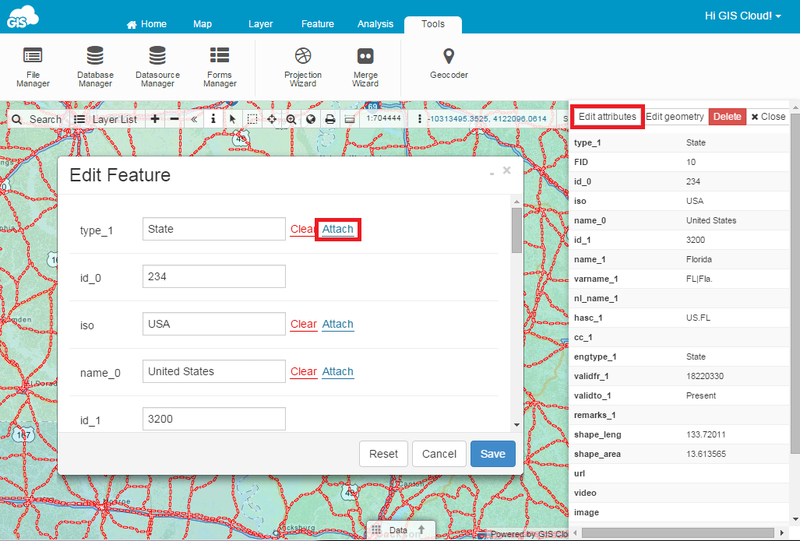 Select a database layer or import the layer into the database. 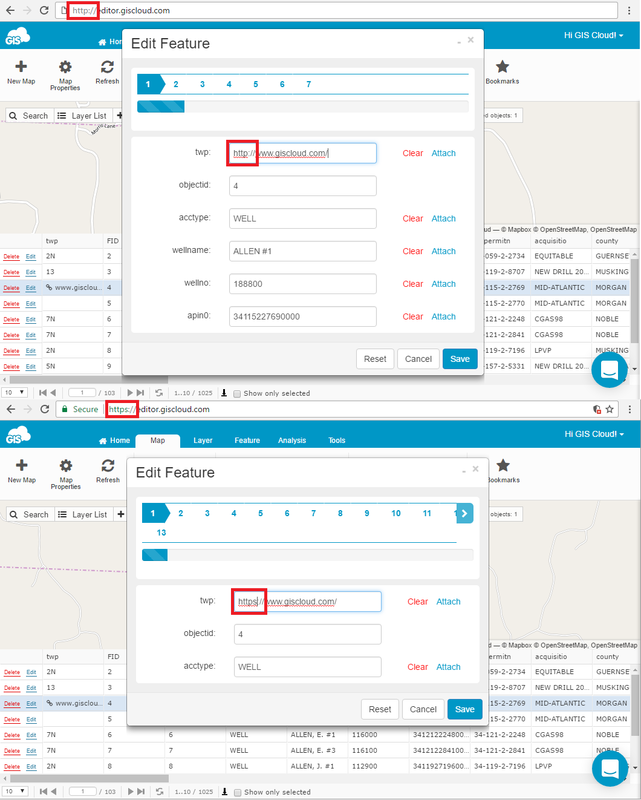 Upload files to the GIS Cloud File System. Select a feature and right click on it. Browse media file from the File System and click Select. 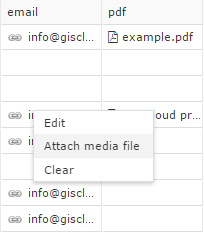 Media files can be attached in Info panel (Edit attributes button) too. Type in the whole web address. For attaching web address make sure that you type in “http://” or “https://” before web address, depending if the app is opened in the secure or insecure mode. Note: web pages that require login can’t be attached. Click Edit button in the data grid or in info window. When the edit form opens, click Edit next to the attribute where the folder will be attached. If the web page doesn’t open, maybe the problem is that the attached page requires a secure or insecure connection. The attached external links must follow those rules. If GIS Cloud app is opened via https (https://editor.giscloud.com/), in the external link add https as well e.g. 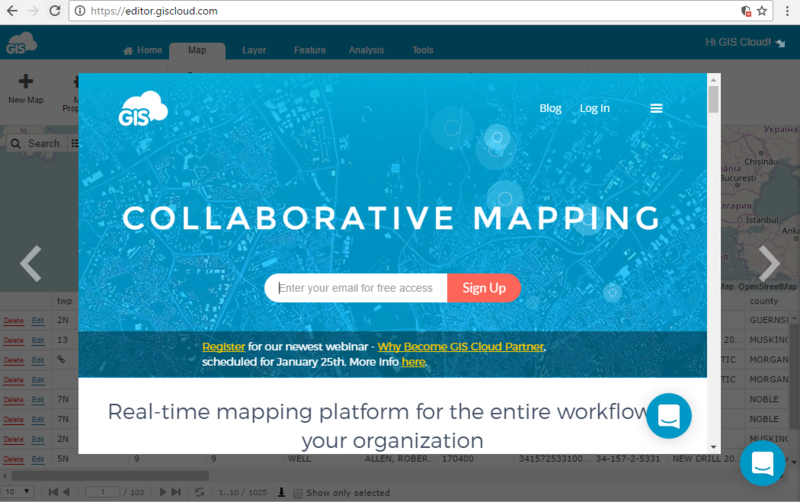 https://www.giscloud.com/. If GIS Cloud app is opened via http, in the external link add http as well e.g. 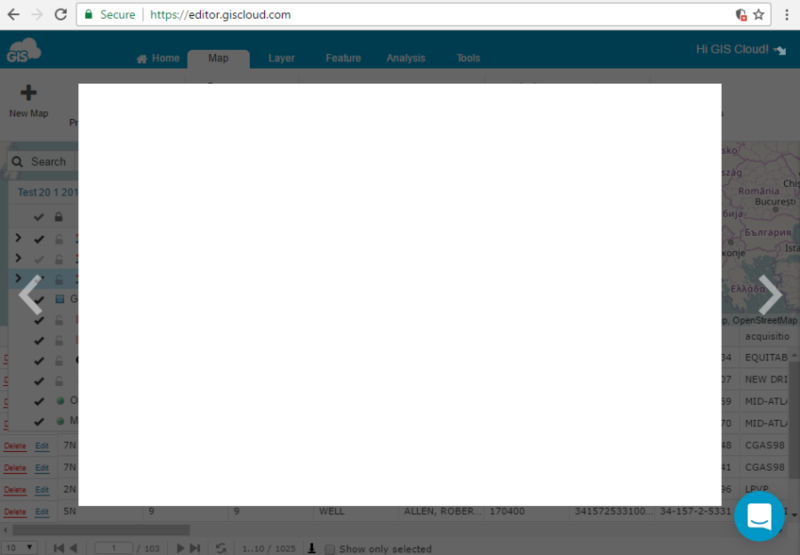 http://www.giscloud.com/. Create a Report option in Map Editor or Mobile Data Collection Portal and hit CTRL+S on your keyboard. From the File Manager use download option from the Tools ribbon. If you have a large amount of photos and other data, the best way to download pictures is to use SFTP.